When it comes to new-home construction, people are used to it being about, well, themselves. New homes are supposed to be built around people, right? How they like to live, relax, cook, clean, move? What if new homes were not built this way? What if homes were built to the land first and then tailored to the people? As sustainability becomes a more familiar word in the housing industry, we are starting to see this play out in the construction field. The “Great Gulf Active House” in St. Catharines, Canada is no exception, and sets a new precedent in residential development. 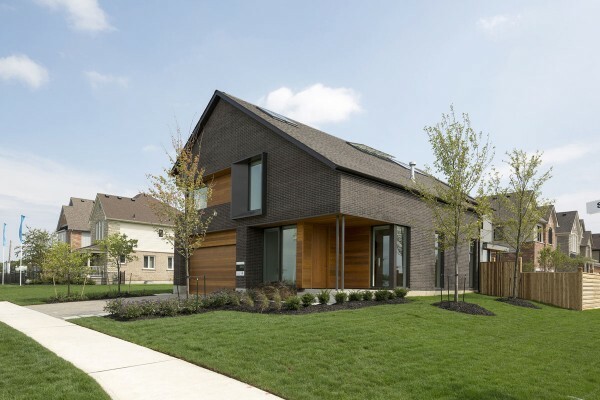 The Great Gulf House was built for one of Canada’s largest home builders, Great Gulf, accompanied by a team Danish architects, and the award-winning Toronto architecture firm superkül. This unique home was tailored to its lot, its space, before it was tailored to its residents. The design considered the environmental impact of a home on this lot, orienting the long roof and major glazing southward to take full advantage of solar power and passive solar gain. 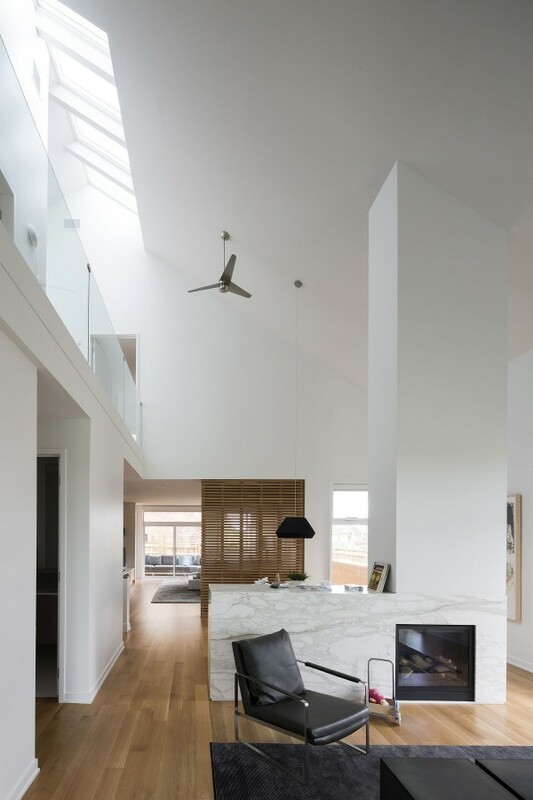 The basic house shape is composed of two intersecting axes, filled with skylights, that utilize cross-breezes and flood the main living areas with natural light, minimizing the need for artificial light. Integrated systems control the light and air quality. 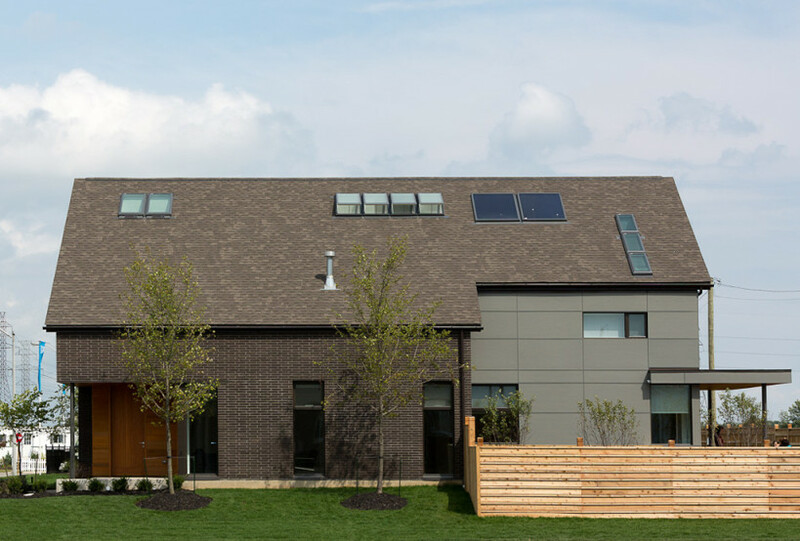 The house uses a dual-zone HVAC system connected to a Somfy Tahoma Smart House system that automates the windows, blinds, and skylights to open and close in response to interior light, temperature, and air quality. In addition, two heat-recovery ventilation units supply the house with fresh air. 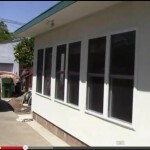 Hybrid windows/patio doors are strategically oriented to provide solar heat gain. It includes a 97% efficient variable speed furnace that also heats the home. The entire house is run 100% on renewable source energy. Water conservation, as well as energy conservation, was taken into consideration in the utilities of the Great Gulf House. A rainwater cistern and collection system reduces the need for public water by 35%, thus reducing the waste load on the municipal waste system. A greywater heat recovery unit captures heat from showers and baths and preheats incoming cold water. 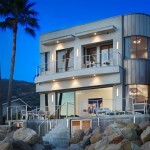 The materials of the house, as well, were designed and assembled in such a way to reduce waste and environmental impact. By prefabricating the walls, roof, and floor systems, not only was the house framed in a week, but waste, energy, and on-site risk was reduced during the construction process when compared to traditional suburban construction. Constructing the house in this way also increases the accuracy and quality of the final product. According to ActiveHouse, the opening of the Great Gulf House could be compared to the release of a new smartphone; most people don’t realize the technology that goes into their smartphone, nor do they initially realize the need for all of the features it has. However, once they are introduced to well-designed technology, they become accustomed to its benefits and wonder how they ever made it through life without it. Consumers need to realize that the same rules apply to their homes. Once they realize what smart planning and design can do for their family, their wallet, and their environment, they’ll wonder how they ever lived before.